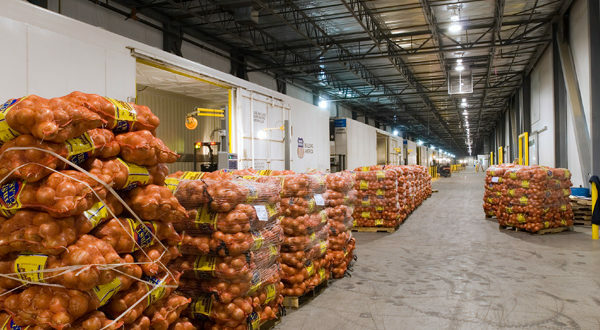 Things to know when shipping onions and other produce in bags. This quick post is a must know for all owner-operators, start-up trucking companies, and dispatchers with limited experience. Hopefully, you can save some nerves and money by learning from my mistakes. I will be talking about onions, but same applies to any produce and agriculture seasonal products in bags. Here is where the problem begins. When negotiating rates it usually pays a specific amount of money per 50 lbs bag. More bags, more money. Many times the rate will be based on the max weight your truck can haul. For example, if shipper pays $4.00 per 50lbs bag and you said that your truck could pull 45000lbs or in other words, 900 bags. The pay on the rate confirmation will reflect $3600.00. When your truck goes to the shipper, in most cases they will not look into every vehicle personally and most shipments are prepackaged and ready to ship in the set of (just an estimate) 26 pallets holding 32 bags each which is around 42000lbs of a product. Once you add the weight of pallets and bags it will round-up to around 45000lbs. Still seems everything is OK, you pull 45000lbs for $3600.00. But let’s continue; on the rate confirmation in which unless the customer agrees to pay flat linehaul rate, still notes that the price is based off $4.00 per 50lbs bag. After the load delivered, you bill the customer for the amount of rate confirmation which is $3600.00. Thirty to sixty days later you receive a check from the client for $3328.00. Everything is legal and there is nothing you can do about it. The customer paid as agreed $4 per 832 fifty pound bags. I see it as a catch and I’ve learned it the hard way. Don’t count on the rate alone because it will be recalculated and you will get based on the number of bags delivered. It is a trick some customers use during the higher truck demand seasons to cut on shipping cost. Is it fair? No. But technically they told you and now it is on you. A good experienced dispatcher will keep you away from this headache. 1. Avoid these types of loads altogether. 2. Negotiate a flat linehaul rate. Please like us on Facebook for similar info and to be notified when new articles are posted. Share this post with other truckers. We would like to hear your opinions and experiences in the comment section below. I have a clean CDL, rejected application. How much money do Owner Operators make? Electronic Logging Device Rule. And how to avoid it.